Great boat, shame about the paddler! Which kayak to buy is a question that arises on many a forum, and as I found when I needed a boat there is no definite answer to the question. You simply have to get in a boat and try it. I have been having long discussions about boat choice with a fellow kayaker who also only started paddling over a year ago. He has trouble fitting in most boats due to his leg length and the size of his feet. This pretty much rules out most of the boats on the market. He has narrowed his choice down a bit now having being able to try out one boat in particular at HPP. The boat in question being a Riot Magnum. He liked it very much, though the outfitting is, shall we say, strange. But the plastic looked and felt bomber, and he said it handled really well having just sold his Pyranha Burn, which he was having difficulty with. The point here, and indeed the point of discussion I have had with him, is that we both agreed that some boats that really should sell well actually don’t. Kayakers are a strange breed. Many of them simply will not buy a boat from new, even if the person in question has a good income. Another problem is that it is simply very hard to test a boat out in the conditions that the kayak will be paddled in. After all, who wants to spend £800 or more on a boat that they can only try on flatwater? You simply cannot get an idea of how the boat handles. Quite often it seems, boats are bought on word of mouth. This would go a long way to answering the question of why some boats sell and some don’t. Many of the retailers that sell boats where you can try them on real moving water, such as at Cardiff International White Water sell the usual suspects from Dagger, Pyranha etc. As a result those boats will sell better, and club members who try out their friends boats are likely to try these as well. However there are other options out there. I first learnt to kayak in a Bliss Stick boat, a MAC 1 to be precise. It was a nice forgiving boat. All of the fleet at River Strokes were Bliss Stick’s, and they were there for a reason. Dan, the head of River Strokes absolutely believes in them. He has been coaching regularly from a Bliss Stick Scud, and tells me that it has been a Godsend to coach from, especially with regard to rescuing boats and paddlers alike. He likes the Bliss Stick boats so much that he decided to start importing them to the UK. I had tried other boats, but when I tried the Mini-Mystic I knew it was the boat for me. It was quite different from the full size Mystic that I had paddled. The Mini-Mystic is an entirely different beast. It keeps me on my toes! There is a lot of secondary stability on the Mini and will quite happily hold an extreme edge, maybe 80 degrees or so before tipping. As a result, to this novice kayakers mind it could be classed as being quite tippy. It can be snapped from edge to edge very quickly indeed. Some may not like this, but I like the lively feel it gives. I have owned the Mini-Mystic for around 6 months now and I have found that it can require a fairly aggressive paddling style. It is certainly a fast boat, and it carves into and out of eddies really nicely. If I had one real niggle it is that if you aren’t on the ball the edges do seem to catch in boily ‘weird’ water. I let a former youth Freestyle champ have a go in it at HPP the other week. After he had had fun looping the thing in the Bus Eater or Tardis or something (youths and their water feature names eh?) he did also comment that he was putting in a few more correction strokes than he would do normally. But he also pointed out that the boat was very good at punching through features and manoeuvred very well indeed. His summary was that it was a bloody good boat that is also easy to roll. The straight line tracking of the boat is very good and it doesn’t take much for me to keep it on line through wave trains etc. But it is a boat that likes you to take control. It is a boat that has a soul. I have had a go in other makes of boat, but after being used to the snappy speed of edging on the Mini Mystic I have found other popular models of boat to feel a bit syrupy. Certainly they are forgiving, but I have found that they lack the vibrancy and liveliness of the Mini Mystic. I haven’t been kayaking that long, so take what I say as you will though. The Bliss Stick Mini Mystic is designed for paddlers of up to 85kg and around 5’9 max height. I am 5’8 and with gear on I am 66kg wringing wet. So I am near the top end of the height scale, but low on the weight recommendation. The boat itself is 7’6 long, 24.5″ wide, with a volume of 64 gallons (240 litres) and a weight of 18.5kg. Outfitting is excellent. In fact the outfitting is another reason I get on with the Mini Mystic better than other makes of boat. Primarily the thigh braces, which can be rotated to accommodate your style of paddling and leg type. In other boats my legs easily slip out of the braces on a capsize in moving water leaving my already sporadic roll ability in even worse shape! Not so with the Mini Mystic. I can rotate the thigh braces so that they really keep my legs in place, yet I can still exit the boat easily when required. For the smaller paddler and females that are finding most creekboats to be like sitting in a bathtub, I would seriously suggest giving the Mini Mystic a test drive. In all the places I have visited with the boat so far I haven’t heard a bad word said about one. one thing that does crop though is that a lot of people aren’t even aware that the boats are available to buy in the UK. They are, at Bliss Stick UK. This entry was posted in Gear. Tagged Bliss Stick, choosing a kayak, kayak, kayaking, Mini Mystic, review. Previous Post Previous post: Rolling a kayak, is there no beginning to my skill level? Next Post Next post: Are you nuts? 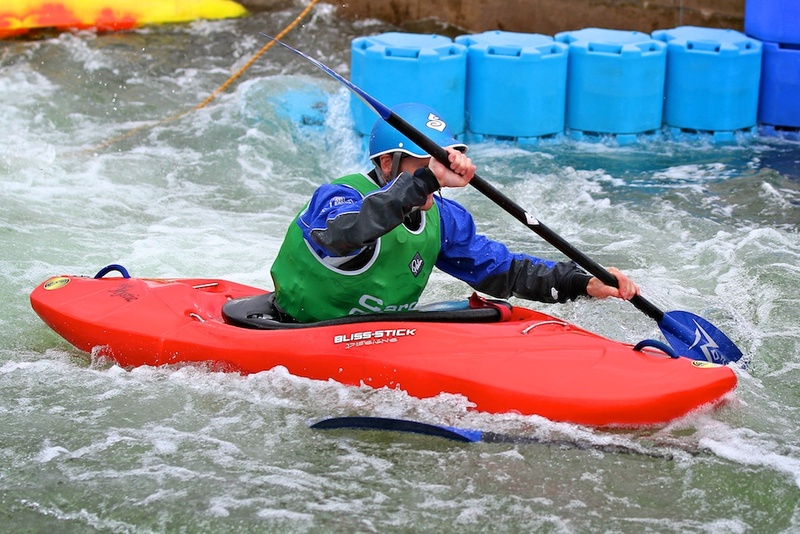 Why White Water Kayaking?